The many uses of this unique piece will only be limited by your imagination. Called a "book trough" this piece can easily be used to store items like books, magazines, yarn, crafts or shoes. It's made of solid mahogany covered in a warm finish. 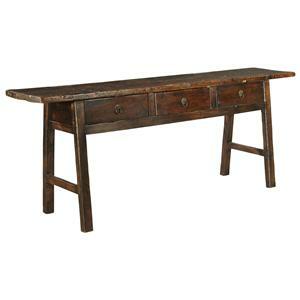 Use this piece to accent your living room, sitting space, bedroom, bathroom or entryway. 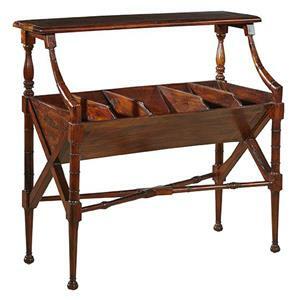 The Accents Traditional Styled Book Trough by Furniture Classics at Howell Furniture in the Beaumont, Port Arthur, Lake Charles, Texas, Louisiana area. Product availability may vary. Contact us for the most current availability on this product. Whether you're looking for unique accent pieces, tables, or storage options, this Accents collection is sure to please. 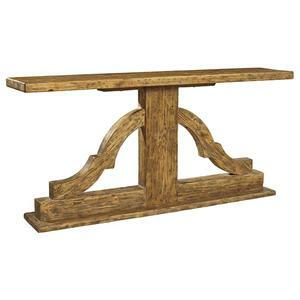 This group provides several stand-alone items that can work nicely with your eclectic or arts-and-crafts style home. Made with quality construction, materials, and finishes, these pieces will last for years and years. The Accents collection is a great option if you are looking for furniture in the Beaumont, Port Arthur, Lake Charles, Texas, Louisiana area. Browse other items in the Accents collection from Howell Furniture in the Beaumont, Port Arthur, Lake Charles, Texas, Louisiana area.